As America scoured Muslim Asia for Al-Qaida in 2001, Pakistan’s spy agency arrested Badr Zaman and his brother over a satirical column they had written about President Bill Clinton. Pakistan handed the men to U.S. forces as violent terrorists. In Guantanamo, it took them three years to explain the mistake and get freed . . .
PESHAWAR, Pakistan — Badr Zaman Badr and his brother Abdurrahim Muslim Dost relish writing a good joke that jabs a corrupt politician or distills the sufferings of fellow Afghans. Badr admires the political satires in “The Canterbury Tales” and “Gulliver’s Travels,” and Dost wrote some wicked lampoons in the 1990s, accusing Afghan mullahs of growing rich while preaching and organizing jihad. So in 2002, when the U.S. military shackled the writers and flew them to Guantanamo among prisoners whom Defense Secretary Donald Rumsfeld declared “the worst of the worst” violent terrorists, the brothers found life imitating farce. For months, grim interrogators grilled them over a satirical article Dost had written in 1998, when the Clinton administration offered a $5-million reward for Osama bin Laden. Dost responded that Afghans should put up 5 million Afghanis – equivalent to $113 – for the arrest of President Bill Clinton. It took the brothers three years to convince the Americans that they posed no threat to Clinton or the United States, and to get released – a struggle that underscores the enormous odds weighing against innocent foreign Muslims caught in America’s military prisons. In recent months, scores of Afghans interviewed by Newsday – including a dozen former U.S. prisoners, plus human rights officials and senior Afghan security officials – said the United States is detaining enough innocent Afghans in its war against the Taliban and al-Qaida that it is seriously undermining popular support for its presence in Afghanistan. As Badr and Dost fought for their freedom, they had enormous advantages over Guantanamo’s 500-plus other captives. The brothers are university-educated, and Badr, who holds a master’s degree in English literature, was one of few prisoners able to speak fluently to the interrogators in their own language. And since both men are writers, much of their lives and political ideas are on public record here in books and articles they have published. A Pentagon spokesman, Lt. Cmdr. Flex Plexico, declared this summer that “there was no mistake” in the brothers’ detention because it “was directly related to their combat activities [or support] as determined by an appropriate Department of Defense official.” U.S. officials declined to discuss the case, so no full picture is available of why it took so long for the pair to be cleared. The military is slow to clear innocent prisoners, largely because of its fear of letting even one real terrorist get away, said Rob. “What if this is a truly bad individual, the next World Trade Center bomber, and you let him go? What do you say to the families?” asked Rob. Rob and the Defense Department say the prison system performs satisfactorily in freeing innocents and letting military investigators focus on prisoners who really are part of terrorist networks. Badr and others – including some former military intelligence soldiers who served in Guantanamo and Afghanistan – emphatically disagree. 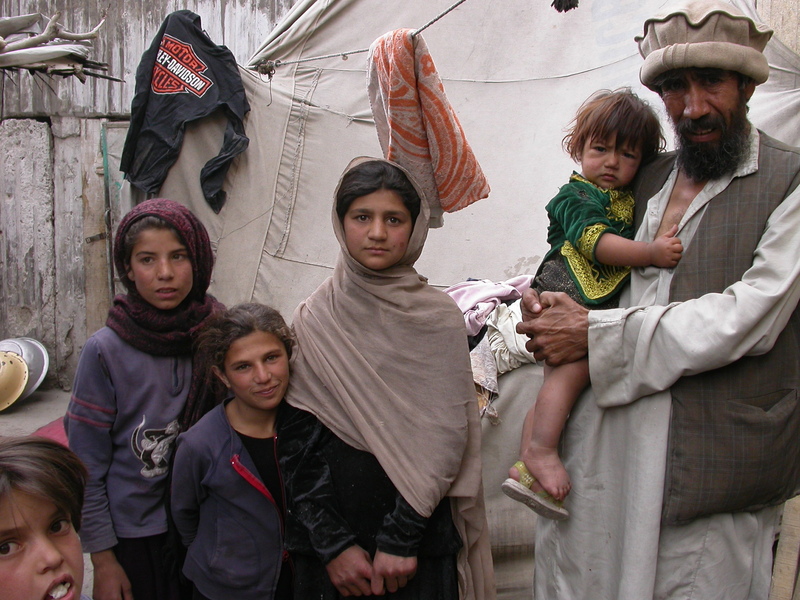 Badr and Dost are Pashtuns, members of the ethnic group that spawned the Taliban. But the family library where they receive their guests is crammed with poetry, histories and religious treatises – mind-broadening stuff that the Taliban were more inclined to burn than read. For years, the brothers’ library has served as a salon for Pashtun intellectuals and activists of many hues, including some who also have been arrested in the U.S.-funded dragnet for suspected Islamic militants. After the Soviet withdrawal in 1989, the men split with Jamiat, partly over its promotion of the extremist Wahhabi sect of Islam. Dost wrote lampoons against the group’s leader, a cleric named Sami Ullah, portraying him as a corrupt pawn of its sponsor, Pakistan, working against Afghan interests. In November 2001, as U.S. forces attacked Afghanistan, the mullah’s brother, Roh Ullah, “called us and said if we didn’t stop criticizing the party he would have us put in jail,” said Badr. Ten days later, men from Pakistan’s Inter-Services Intelligence Directorate hauled the brothers off to grimy cells. But two Pakistani analysts with sources in ISI said the Ullah family has been accused in several cases of using its links to the agency to have rivals arrested. And Roh Ullah himself is now imprisoned at Guantanamo. In the midnight chill of Feb. 9, 2002, ISI officers led Badr and Dost, blindfolded and handcuffed, onto the tarmac of Peshawar International Airport. When they heard airplanes, “we knew they were handing us to the Americans,” Badr said. Beneath the blindfold, he stole glimpses of smiling Pakistani officers, grim U.S. soldiers and a cargo plane. “It was a big festival atmosphere, as though the Pakistanis were handing over Osama bin Laden to the United States,” Badr said. Flown to U.S. prisons at Bagram and Kandahar air bases in Afghanistan, the brothers eventually learned from their interrogators that the ISI had denounced them to the U.S. as dangerous supporters of the Taliban and al-Qaida who had threatened President Clinton. In the three-plus years that the brothers spent in U.S. prisons abroad, violent abuse and torture were widely reported. Eight of 12 men interviewed after their release in recent months from U.S. prisons in Afghanistan told Newsday they had been beaten or had seen or heard other prisoners being beaten. The brothers escaped the worst abuse, partly because of Badr’s fluent English. At times, prisoners “who didn’t speak English got kicked by the MPs because they didn’t understand what the soldiers wanted,” he said. And both men said that while many prisoners clammed up under questioning, they were talkative and able to demonstrate cooperation. “Fortunately, we were not tortured,” Badr said, “but we heard torture.” At Bagram, “We heard guards shouting at people to make them stand up all night without sleeping.” At Kandahar, prisoners caught talking in their cells “were punished by being forced to kneel on the ground with their hands on their head and not moving for three or four hours in hot weather. Some became unconscious,” he said. The U.S. military last year investigated abuse at its prisons in Afghanistan but the Pentagon ordered the report suppressed. Badr and Dost were humiliated routinely. When being moved between prisons or in groups, they often were thrown to the ground, like that night at Peshawar airport. “They put our faces in the dust,” Badr said. Like virtually all ex-prisoners interviewed, he said he felt deliberately shamed by soldiers when they photographed him naked or gave him regular rectal exams. The brothers were flown to Guantanamo in May 2002 as soon as Camp Delta, the permanent prison there, was opened. For more than two years, they sat in separate cells, waiting days between interrogation sessions to explain and re-explain their lives and writings. In his 35 months in U.S. captivity, Badr said, he had about 150 interrogation sessions with 25 different lead interrogators from several U.S. agencies. “And that [Clinton] satire was the biggest cause of their suspicion,” he said. When one team of interrogators “began to accept that this was satire,” the whole process would begin anew with interrogators from another agency. In all, Badr said he was told that four U.S. agencies – including the CIA, FBI and Defense Department – would have to give their assent before the men could be released. And their names would be circulated to 40 other countries to ensure they were not wanted anywhere else. The Americans’ investigations seemed to take forever to confirm even where they had lived and studied. “I would tell him something simple and … two or two-and-a-half months later, he would come back and say, ‘We checked, and you were right about that,’” Badr said. Rob conceded that “obviously, we could use more translators,” but said the pace at which prisoners are processed – and innocents released – is adequate. Of that anger, Rob said, “that’s understandable. Especially if he’s the breadwinner for his family and there’s no one … ” The sentence hung uncompleted. The brothers’ anger is deepened by the abusiveness of many U.S. soldiers, whom Badr compared to “Yahoos,” the thuggish characters of Jonathan Swift’s “Gulliver’s Travels.” And they are upset that U.S. officials confiscated all of their prison writings. PESHAWAR, Pakistan — Former U.S. soldiers at the Pentagon’s military prisons overseas have given evidence that a great many of the captives in “the global war on terror” are innocent. In the past year, a former Army interpreter at Guantanamo and an interrogator at U.S. prisons in Afghanistan have published books on their experiences that in many ways buttress the accounts of ex-prisoners such as Afghan writers Badr Zaman Badr and Abdurrahim Muslim Dost. Even a prisoner who has convinced his interrogators that he is no threat to the United States may not be freed. That decision is made at the Pentagon. But “once the file’s in Washington, the decisions are all political,” Saar quoted a military interrogator as saying. Bureaucrats ask, “Would releasing too many [prisoners] make the Gitmo operation look bad?” Saar wrote.